In Photo: Representatives from partner agencies clean up Conga Creek. 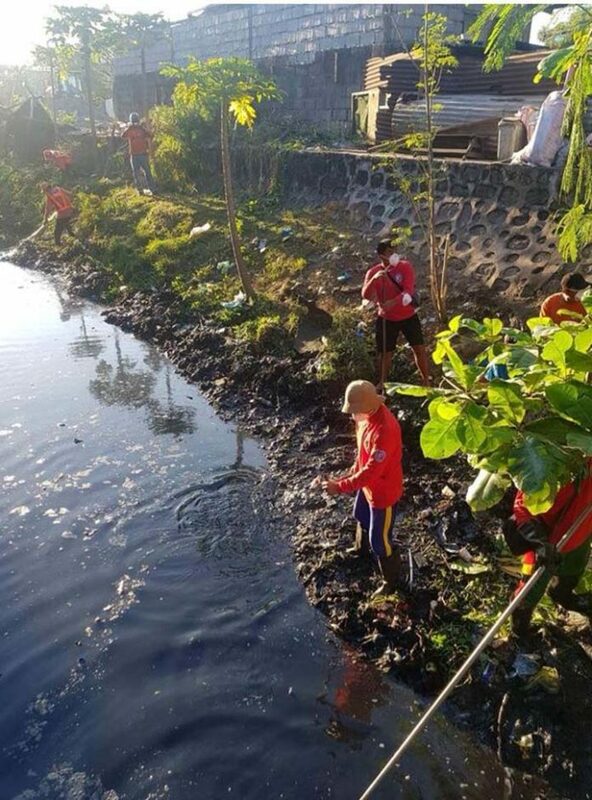 The Department of Science and Technology-National Capital Region (DOST-NCR) recently collaborated with the local government of Taguig City and other government agencies to help clean up the Conga Creek to achieve a cleaner, safer and healthier metropolitan environment. The Conga Creek in Taguig spans around 300 meters with 28 B most probable number (MPN)/100 ml reading of coliform and 0 oxygen water analysis. Under the international standards, the acceptable MPN should be less than 1 up to less than 10 MPN. This means that the pollution in the creek is way beyond the acceptable limit, and all the oxygen has been used up. Under such condition, no fish would ever survive because it has to compete with billions of bacteria. Conga Creek is among the 48 creeks under the Adopt an Estero Program of the Department of Environment and Natural Resources (DENR) and other private and government agencies. Collaborating with Taguig City under the program, the DOST-NCR will not only help in cleaning up the creek but will also help empower the communities through the DOST Community Empowerment through Science and Technology. The program helps communities improve their living conditions through science and technology interventions in health and nutrition, water and sanitation, basic education and literacy, livelihood/economic enterprise development and disaster-risk reduction and climate-change adaptation. The partners in the Adopt an Estero Program also committed to support each other in the following areas: information and education campaigns, community mobilization and other activities that would foster harmonious relations. They will also work together in decongesting the pilot site of garbage dumps and introduce interventions, which are aligned with the DENR's recommended measures, such as the planting of bamboo and other plant species along the river banks and other activities. The other agency-partners in the Conga Creek cleanup are the Metropolitan Manila Development Authority (MMDA) and the departments of Public Works and Highways, Interior and Local Government and of Health. There are around 273 waterways (estero) in the metropolitan area alone, according to the MMDA. It is not uncommon to see polluted waterways in Metro Manila, and the level of pollution has been a concern among environmentalists and other individuals and groups.